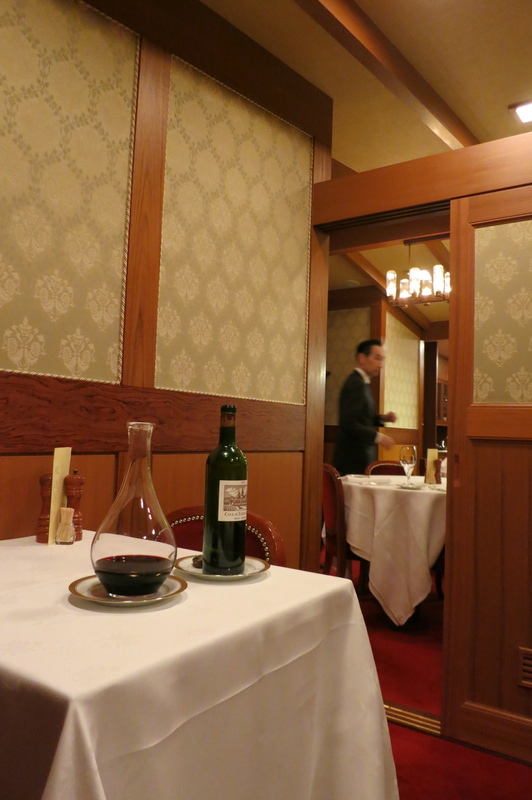 In 2006, Forbes.com listed Aragawa as one of the most expensive restaurants in the world. It probably still is. So naturally I was excited to try this restaurant and see what all the hype was about. The high cost of the meal definitely doesn’t show in the decor. I found the interior of the small restaurant with about 5 tables to be rather outdated, but some might call it vintage. Wooden walls and ceilings, classic wallpaper and red velvet chairs dominate the scene. Our enquiry to bring our own bottle of wine was declined by the restaurant, yet when we asked for some wine that we wanted, they were out of stock. Twice. They had our third choice. 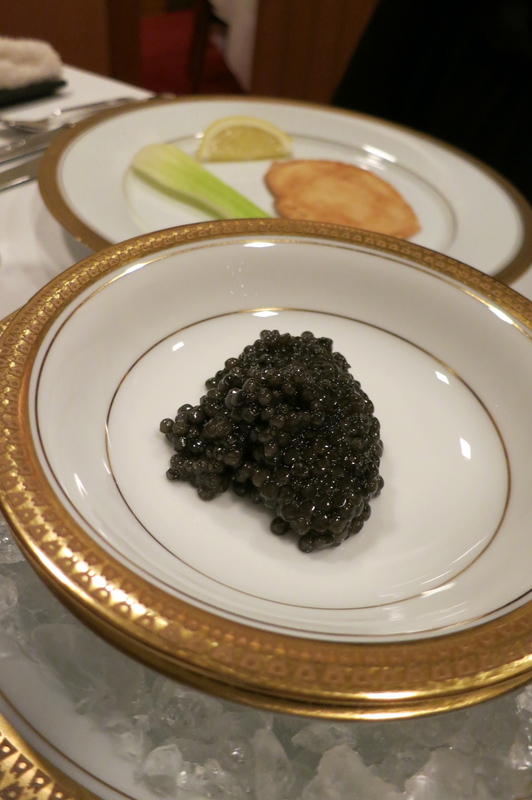 Our first course was some beluga caviar with some crispy toast and celery on the side. Then came the home-made smoked salmon which was exquisite, unlike any smoked salmon I’ve tasted before.